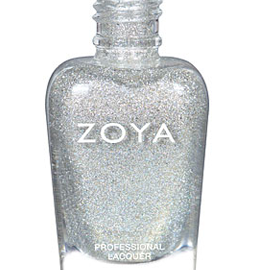 Zoya’s holographics are…mmm…kind of hit-or-miss, in my opinion. They’re often scattered rather than linear holographic, and sometimes there’s barely any shimmer in them. 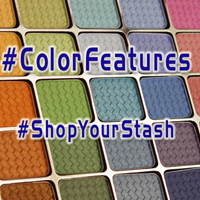 This color looks more like a multicolor-silver microglitter than a holographic polish. I needed three coats to get coverage that wasn’t completely even, and the polish is almost semisheer. That said, I didn’t have problems with the polish’s durability, and removal was not an endless round of “scrub the cuticles again because there’s STILL GLITTER.” So that’s good.